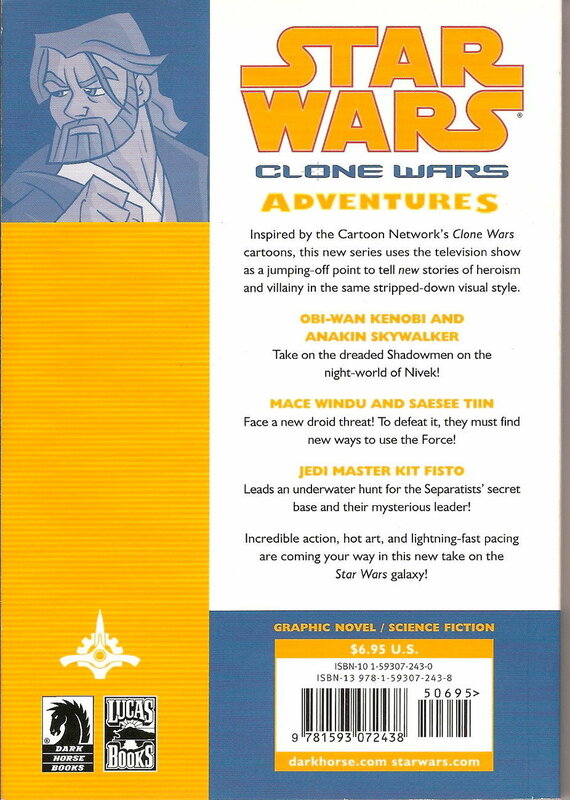 Clone Wars Adventures Book Vol 1. 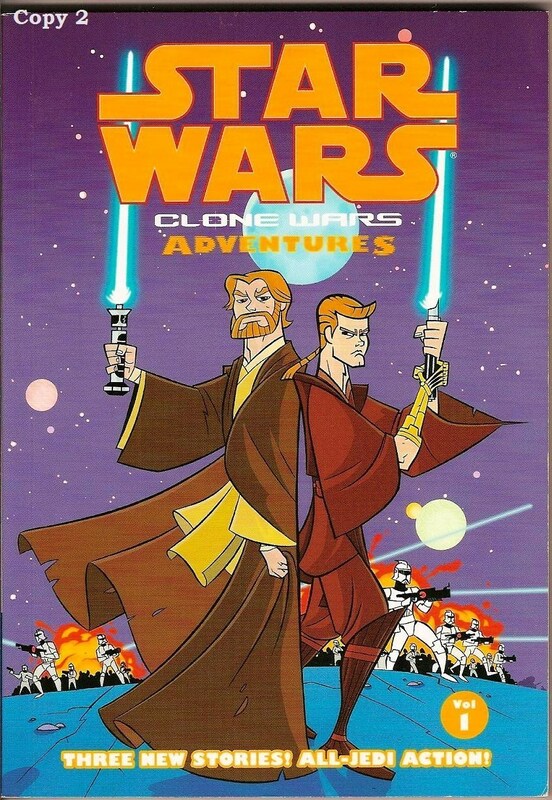 On the night-world of Nivek, Obi-Wan Kenobi and Anakin Skywalker must first overcome the limitations of fighting in the dark before they can take on the dreaded Shadowmen! Meanwhile, Jedi Masters Mace Windu and Saesee Tiin discover that push can come to shove when using the Force to fight battledroids. 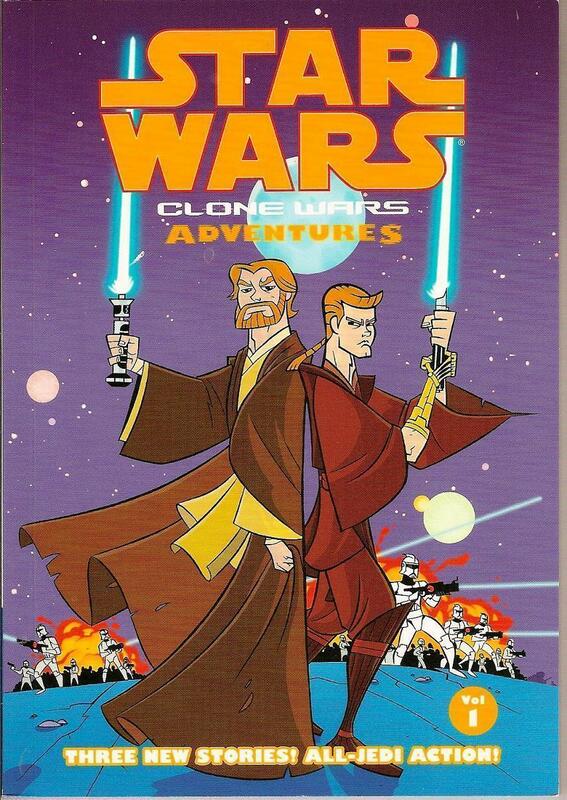 On the night-world of Nivek, Obi-Wan Kenobi and Anakin Skywalker must first overcome the limitations of fighting in the dark before they can take on the dreaded Shadowmen! 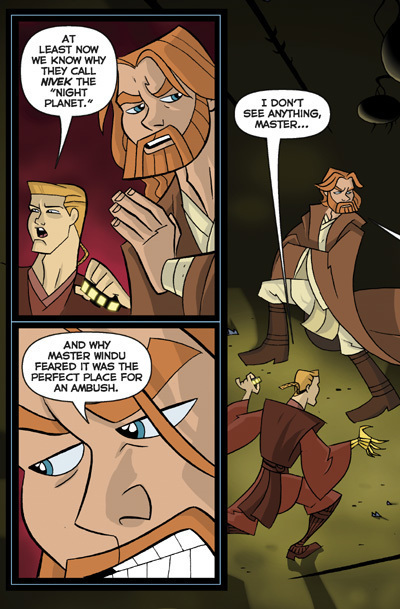 Meanwhile, Jedi Masters Mace Windu and Saesee Tiin discover that push can come to shove when using the Force to fight battledroids. And, fresh from leading an underwater assault against Separatist forces on the water planet of Mon Calamari, Jedi Master Kit Fisto and his remaining clone troops reach the surface to find a new threat awaiting them! Incredible action, hot art, and lightning-fast pacing are coming your way in this new take on the Star Wars galaxy! Condition:New, never read, small 'knick" on cover. Copy 2 has small bottom right corner wear.